The perfect vision of a silkstone doll in my eyes. Every doll collector has his/her favorites. When it comes to the BFMC line, Joyeux is mine without a doubt. 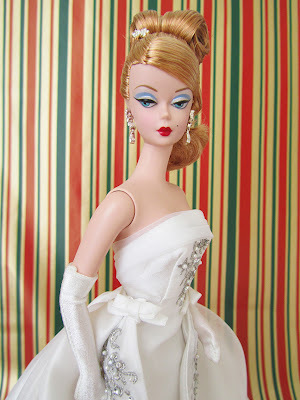 The simplicity and elegance that emanates from this doll is pure perfection. She looks like a dazzling bride at first glance but she's really a holiday doll, in fact the only holiday doll in the BFMC line to date. 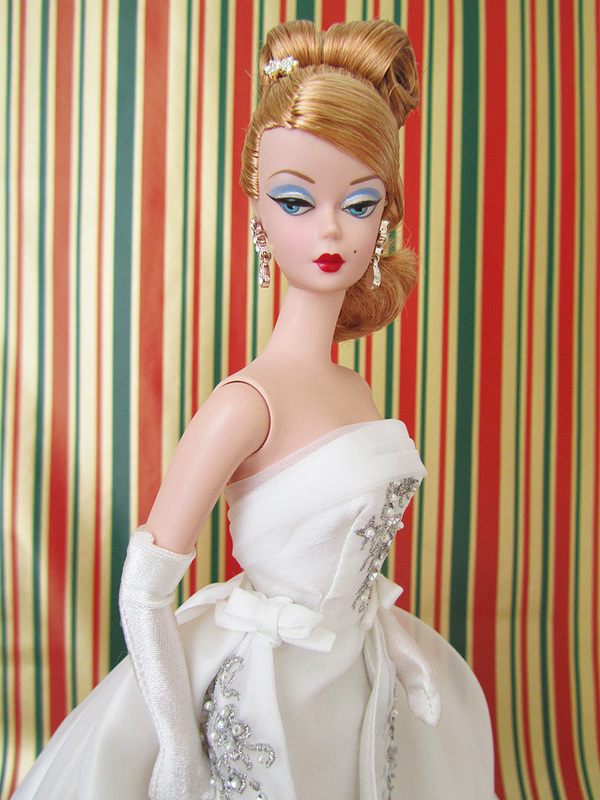 I am not usually a big up-do, ball gown doll kind of collector but Lizelle almost seems magical to me, from her shimmery eyeshadow to the shimmery intricate beading on her white satin gown. Just lovely! 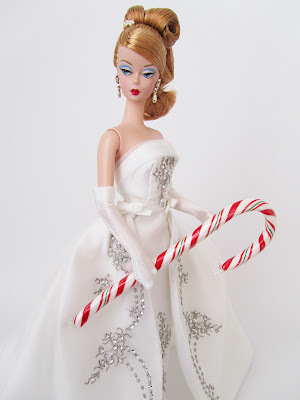 Candy Cane fact: These minty cane-shaped goodies were originally just plain white straight hard sticks of sugar candy hundreds of years ago. The red and white stripes they are so well-known for today did not come about until the early 20th century.